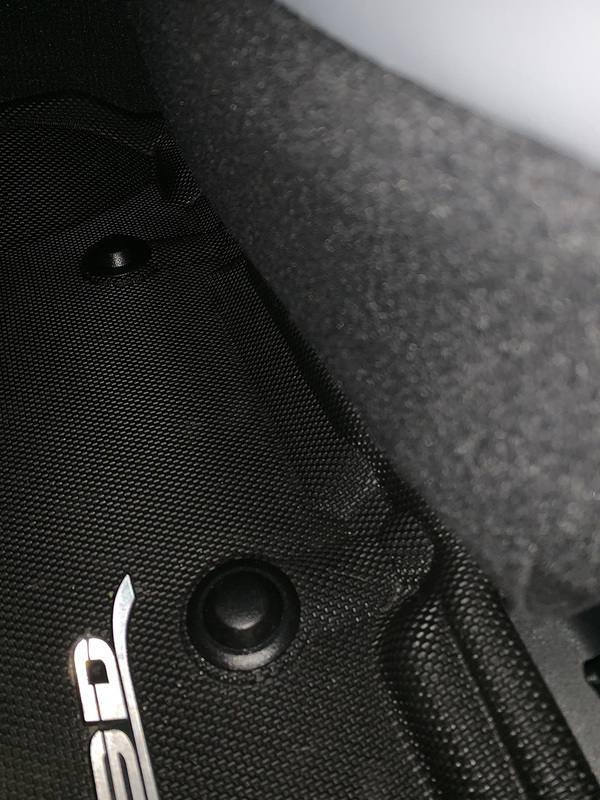 I've got the 3D Maxpider in my 2017 OB, and think they're way better than Weathertech mats. - IMO the 3D plastic logos on them ruin the look. I snipped off those logos and touched up the back side of the resulting small holes with some silicone sealant. They don't necessarilly do the best job at putting those on. A long plastic log with one fixation point so the ends stick up. And they're shiny to boot on a matte finished mat. I keep contemplating popping them out. Just low down on the list of things to do. Do you have a part number for those caps? 2018 Subaru Outback Touring 3.6R - Crystal White - Whole bunch of Accessories. unfortunately they did not provide me with a part number or a packing slip when they sent it. When I called the parent company, info provided below, I just told them my model car and the floor mats I had and they sent me 2 "grommets". It took me another 2 weeks for them to send me 2 more for the passenger side.